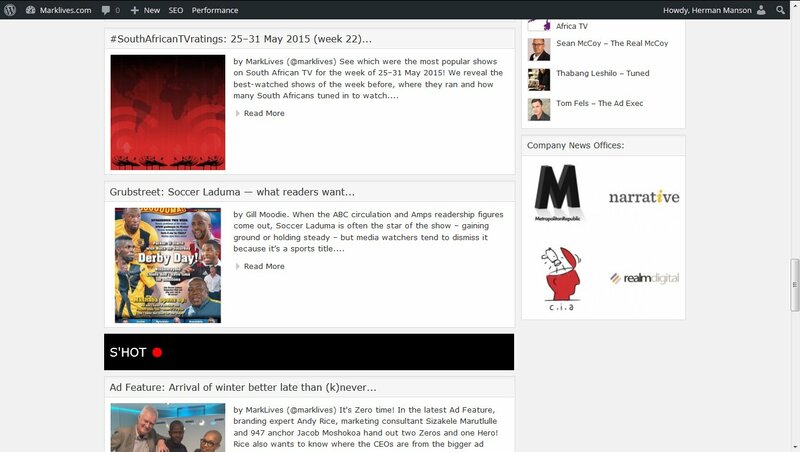 Purchase a Company News office on MarkLives.com for only R11 200 a year (once off fee). That’s less than R1000 a month to reach a desirable audience of 15 – 20 000 marketing, media and advertising decision makers every month. A Company News Office which will include a space on which to publish your news, contact details, a company profile and a link back to your website. Your news will appear on the front page of MarkLives as a text headline that links through to your news story . Your logo will rotate on the MarkLives front page along with other CNO holders. Bonus! New news room stories also appear in our regular newsletter (more than 2500 subscribers, more than 5000 copies emailed weekly), on our Twitter feed (over 9000 followers) and on our Facebook page (over 2800 likes)! 36 Free press releases a year. Then R330 per release. 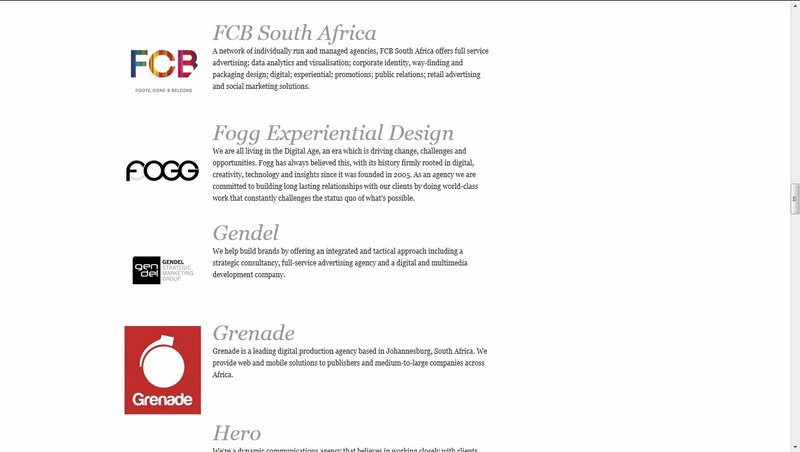 Target audience: South African advertising, marketing and design professionals including Marketing Directors and managers and company CEOs. Content strategy: MarkLives.com has adapted a feature driven content strategy that focuses on developments in the local and global ad agency scene, profiles key industry people and reports on marketing best practice and the role of technology in the broader media marketplace. Or contact us for details using the contact form on MarkLives.